The skiing resort St. Jakob at the Defereggental is the ideal spot for families. The resort is easy to find one`s way in and especially apt for kids – teenagers can ski in a Funpark that lives up to their expectations. 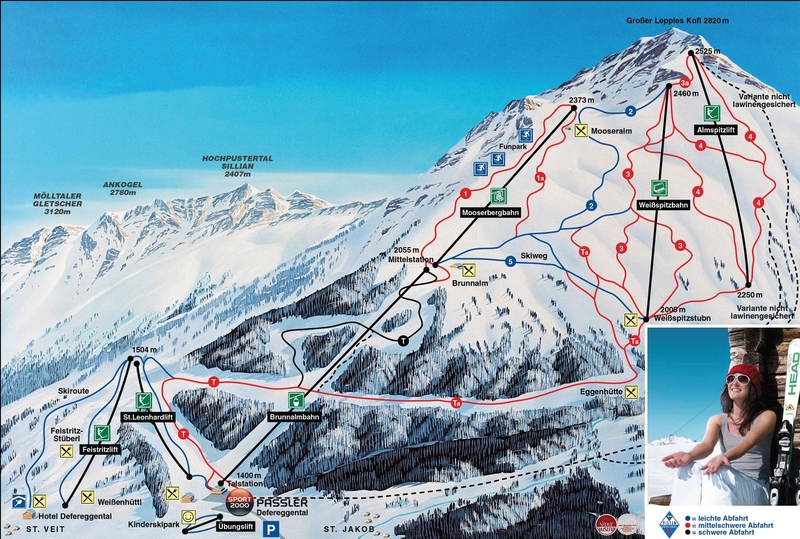 The Eastern Tyrol skiing resort provides 23,7 km of slopes and 7 lifts.